Cranes are vitally important tools used on just about every construction job site in the country. With this type of heavy machinery, a relatively small amount of workers can move heavy objects safely and complete tasks faster than using manual lifting methods. 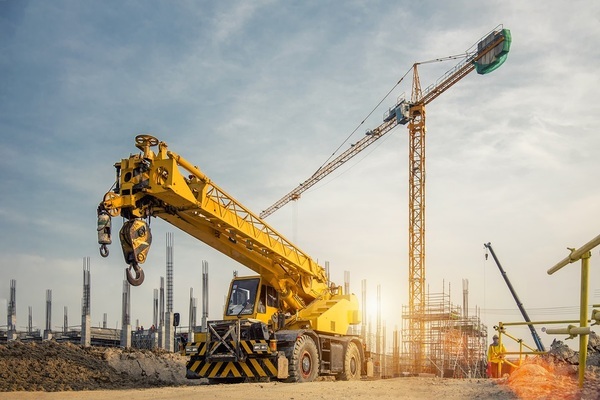 While the term “crane” is often applied to several types of machines, there are many different types of cranes you will see on any given job site. 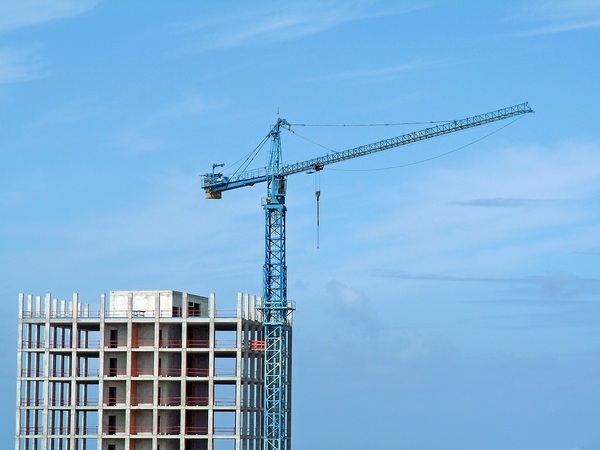 Tower cranes make high-rise construction possible. If you drive by or visit a construction site and have to look up to see the top of a crane, then you are looking at a tower crane. These cranes normally operate at heights ranging between 230 and 265 feet, and the larger tower cranes can lift up to 20 tons. These large cranes are bolted into concrete foundations that are specially built just for the job. If you have ever used a cleaning device that has a handle made up of tubes inside of tubes, then you are familiar with how a telescopic arm works. A telescopic crane has a telescopic arm that is operated using strong hydraulics. These cranes are generally mounted on the back of trucks that can be stabilized using arms that swing out from the bottom. These types of cranes are convenient because they can work in a variety of situations that many other cranes cannot. If you have ever seen a smaller version of a tower crane moving slowly on its own tracks, then you are looking at a crawler crane. The tracks these cranes move on make it easier for the crane to distribute weight in a way that does not centralize all of the weight in one spot. Because these cranes are good at distributing weight, they are often used to prepare unstable ground, such as the kind that can be found in marshy areas. There are plenty of places even a crawler crane with its tracks cannot go, and that is when the construction companies call in the all-terrain crane. The truck on this crane has many sets of wheels and is broken up into segments to make it easier to drive on any type of terrain. When it is running on paved roads, an all-terrain crane is able to reach traffic speeds with no problem. Rough terrain cranes are mounted to a smaller truck that has four large tires on it. These cranes are generally used in rough terrain areas to lift very heavy loads. While these cranes are not as versatile as all-terrain cranes, they are very useful in areas where other equipment cannot be used. It is important to make sure that you have the right crane for the job. Aerial cranes are long helicopters with a rectangular hole cut out in the center. These cranes are used in areas where all-terrain and rough terrain cranes cannot be used. These cranes can carry a surprisingly large amount of cargo and are used in construction, demolition, and rescue jobs. Visit Massachusetts Contractor Academy and take our Hoisting License classes for free. Our classes will introduce you to each type of crane that is used in the construction industry, and we will give you an introduction to the laws associated with the use of cranes in various situations. You can start your career as a crane operator by taking our hoisting license classes. PreviousPrevious post:Modernizing Your Construction JobsiteNextNext post:Are Drugs and Alcohol an Unseen Risk on Your Construction Site?